It is hot but it definitely will get hotter. You definitely will need a few items to keep you breezy during the long, hot summer months. You may have AC at home, at work or other places you may visit. But how about if you are sipping a lemonade outdoors at a garden cafe or lounging by the pool and you just need that cool breeze so you can enjoy your life more. In steps this Japanese hand-made folding fan. It is high quality, made of the first-class bamboo. It is easy to carry around, folding to a compact 8.5 x 1 x 0.4 inches, is 8.5 x 15 inches when fully open. It features Japanese ukiyo-e art prints. Ukiyo-e is a type of Japanese art which developed between the 17th through 19th centuries. Ukiyo-e artists produced woodblock prints and paintings featuring female beauties, sumo wrestlers; scenes from history and folk tales; travel scenes and landscapes; flora and fauna. 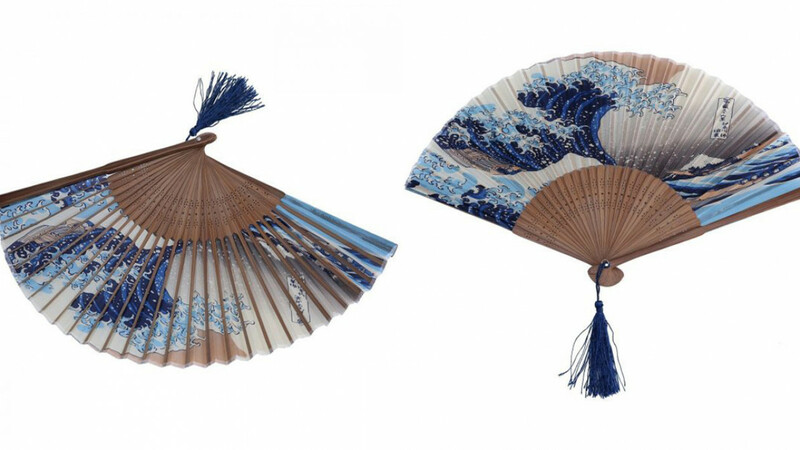 The ukiyo-e art print featured on the handmade fan is the Great Wave off Kanagawa by Japanese artist Hokusai. It is his most famous work as well as being one of the best-recognized works of Japanese art in the world. The Great Wave and the Red Fuji prints take place in Hokusai's series "Thirty-six Views of Mount Fuji". 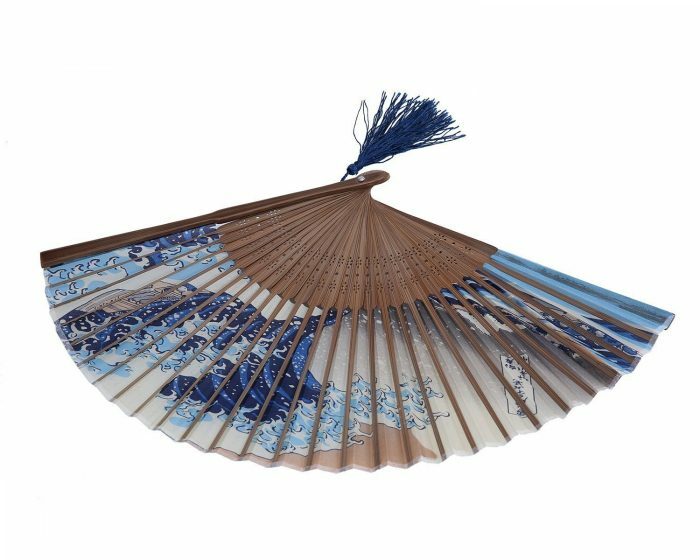 You will not only use this practical, beautiful fan when trying to chill outdoors, lounging by the pool or trying to cool down after taking a walk. You can also use it when you are going to an Asian-themed costume party! The long summer nights will definitely play host to some of those!